Cape Town - Value added tax (VAT) increased on April 1 from 14% to 15%. Currently only 19 food items are VAT-free, namely brown bread; maize meal; samp; mealie rice; dried mealies; dried beans; lentils; pilchards or sardines in tins; milk powder; dairy powder blend; rice; vegetables; fruit; vegetable oil; milk; cultured milk; brown wheat meal; eggs and edible legumes and pulses of leguminous plants. In an informal survey among Fin24 users, they indicated a long list of items they feel should also be made VAT-free by government, mainly because of the impact higher prices due to VAT has on poorer households. Chicken topped the list of this survey, followed by sanitary towels and meat in general. READ: Are 19 VAT-free items enough to save the poor when VAT hike hits? In the survey consumers also raised other related points of importance to them. Fin24 user Ophelia writes that she does not purchase any items on the VAT-free list beside milk, sunflower oil and eggs. 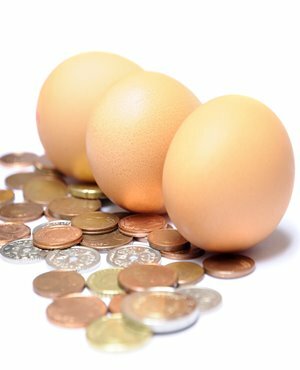 "The price of eggs has been completely ridiculous since all those chickens had to be culled due to bird flu. I’m the sole breadwinner for a family of four, which includes my daughter, elderly sick mother and student younger brother," she writes. Fin24 user Wepener agrees. He writes that even if there is no VAT on eggs, the prices of eggs and chicken has increased so much that the poor will not be able to afford it in any event. "I don’t earn a lot and I can’t even switch to half the products on this idiotic list to save money because I simply don’t have the time to cook dried lentils or beans. I mean, who even has the time for that?" asks Ophelia. In her household they, therefore, use quite a lot of non-perishable canned products like chakalaka, spicy beans and mushrooms, as well as cook-in sauces. "Not only can I store them for long and thus buy in bulk, but it’s also easier to cook with and time saving as I have a full-time job," she explains. Fin24 user VS rather puts his focus on the sugar tax, which he regards as a total rip off to the poor and middle class. "When a gardener or domestic worker is exhausted from hours of hard manual labour, what is the first choice of beverage to re-energise: carbonated cold drinks. The same applies to the middle class, when one is famished from a long day at the office and after gym what does he or she crave for a glass of: cold drink," he writes. "When a diabetics blood glucose drops what is the first thing he reaches for: a cold drink. Government is fully aware of this, but still enforces sugar tax and a VAT increase on sugar beverages. In my opinion, it's just a money-making scheme to waste tax payers money." In his view, all the tax increases, including VAT, impacts the poor and middle class the most. Fin24 user Mike agrees that the “sugar tax” should be scrapped on certain products like fruit juices, "as these contain healthy vitamins and minerals". "Taxes are an accepted part of life, but they can also be used to encourage healthy living. By removing VAT on some products, the government can promote healthier eating and can enable people to feel more dignified and better able to learn, work and contribute to society," he writes.